Champagne & Aishihik was named after two of its historic settlements: Champagne located on the Dezadeash River and Aishihik, situated at the north-end of Aishihik Lake. CAFN’s native language is Southern Tutchone, a member of the Athabascan language family, which includes the Navajo, the Denes of NWT, and most Yukon First Nations. The Archives of Champagne & Aishihik First Nations is located in Haines Junction at the Da Ku Cultural Centre under the department of Heritage, Lands & Resources. The Council of Yukon First Nations have been in existence since 1973 and continue to serve the needs of First Nations within the Yukon and the MacKenzie delta. The Council of Yukon First Nations plays an important role in intergovernmental relations on behalf of Yukon First Nations as our mandate is to serve as a political advocacy organization for First Nations holding traditional territories, in the Yukon to protect their rights, titles and interests. Monday to Friday 8:30a.m.- 4:30p.m. We are the Citizens of the Kwanlin Dün First Nation living together in the Traditional Territory of the Kwanlin Dün First Nation. We acknowledge the Tagish Kwan as the original people who live and occupy the lands within the Traditional Territory, which lie at the headwaters of the Yukon River. For many generations, our people have lived along the Chu Nínkwän (today, the Yukon River). Linguistically, the Kwanlin Dün are affiliated with the Southern Tutchone Tribal Council. The Kwanlin Dün include people of Southern Tutchone, Tagish and Tlingit descent. A large part of the Kwanlin Dün citizens live in the Whitehorse area, with the balance dispersed throughout Canada, the U.S. (predominantly Alaska) and abroad. MacBride Museum holds a collection of nearly 30,000 artifacts, documents, and photographs. The museum collects items that are of historical significance to Yukon and Yukoners. MacBride Museum cares for more than 37,000 significant photographs, documents and objects. Monday to Friday 10:00a.m.- 4:00p.m. Our vision for the citizens of the Ta’an Kwäch’än is for the preservation, balance and harmony of our traditional territory. We will honour, respect, protect and care for our environment, people, economy and traditional culture as practiced by our elders. We encourage our citizens to participate in the well-being of our nation by building a unified, healthy and self-reliant community. The Ta’an Kwäch’än Council will recognize all its citizens as equals and will respect the free expression of their views. The leadership will be responsible and accountable to its citizens and govern in an open and cooperative manner. Our vision is to build a diverse economy which will provide security, stability and wealth to sustain our self-governing nation. 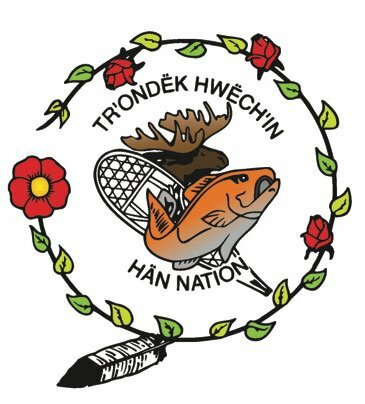 The mission of our Citizens and its government is to provide, promote, protect and sustain a healthy and strong lifestyle for our Citizens and future generations consistent with the traditional values of the Ta’an Kwäch’än, through governing our natural, human and financial resources effectively. Our Goals: To create a documentary record of Teslin Tlingit cultural practices in Tlingit and English. This record will be used to promote awareness, appreciation and understanding of Teslin Tlingit heritage, culture and history. Preserving traditional knowledge will support the management of resources within the Traditional Territory. In addition, it will assist visitors to heritage sites and the Heritage Centre with their interpretation of Teslin Tlingit heritage. To bring about integrated knowledge and competence related to land based skills, language, history and culture in 75% of Citizens under the age of 55. By delivering a consistent, quality series of heritage and culture programs, individuals will build on their self-esteem, knowledge, and skills through increased connection to their culture and history. This will bring about improved health and wellness in addition to improved relationships with others and the land. To design and implement a management plan for documentation and restoration of heritage sites and Tlingit artefacts. The assessment and planning of heritage sites across the traditional territory will help focus immediate, medium and long-term priorities for action, and will play a key role in leveraging financial resources. The Heritage Department is responsible for managing, protecting and presenting TH heritage resources. This includes land-based research, traditional-knowledge protection, seasonal archeology projects, documentation of oral histories, storage of heritage material, development of significant heritage sites, Hän language documentation and programming and operation of the Dänojà Zho Cultural Centre. Monday to Fridays 8:30a.m -4:30p.m. "To preserve, protect, document and promote the culture and language of the Vuntut Gwitchin." The Heritage Branch consists of four full time staff members and a number of part time or seasonal professionals. The White River First Nation (WRFN) is a First Nation in the western Yukon Territory in Canada. Its main population centre is Beaver Creek, Yukon. The language originally spoken by the contemporary membership of the White River First Nation were the Athabaskan languages of Upper Tanana, whose traditional territory extends from the Slims River into neighbouring Alaska, and Northern Tutchone, whose traditional territories included the lower Stewart River and the area south of the Yukon River on the White and Donjek River drainages. Closely related through traditional marriages between various local bands, these two language groups were merged by the Canadian government into a single White River Indian Band in the early 1950s for administrative convenience. In 1961 the White River Band was amalgamated by the Canadian government with the Southern Tutchone speaking members of the Burwash Band at Burwash on Kluane Lake as the Kluane Band (subsequently the Kluane Tribal Brotherhood and then the Kluane Tribal Council). The Yukon Historical & Museums Association was established in 1977 by a group of concerned and passionate individuals to create a united voice for understanding and promoting heritage and history in the Yukon. We keep apprised of issues and advocate on behalf of the Yukon’s heritage and heritage sector. We continue to build a learning environment for history and culture and the development of skills and best practices in the heritage sector. We share knowledge with the Yukon heritage community and support each other in protection and conservation projects. Most of our activities are collaborations and partnerships. Many of our events and programs honour those in the heritage sector that are dedicated to our vision. The YHMA is a territorially-incorporated Society and a registered charitable organization. Open 7 Days a Week 11:00 a.m.-6:00 p.m. The Yukon Heritage Resources Board (YHRB) is a land claims implementation board established in 1995 under the terms of Chapter 13 of the Umbrella Final Agreement (UFA). The duties and responsibilities of the Board are outlined in the Yukon First Nation Final Agreements, the Yukon's Historic Resources Act, and Yukon First Nation Heritage Acts. he Board is mandated to make recommendations to the federal and territorial Ministers responsible for heritage and to Yukon First Nations regarding the preservation, designation, and management of heritage resources and sites in the Yukon. The YHRB may also be asked to make determinations related to the ownership of certain heritage resources, pursuant to 13.3.2.1 and 13.3.6 of the Final Agreements. The Yukon Native Language Centre works in partnership with First Nations communities and individuals to provide training, research, and program support which will assist them in implementing their self-determined goals for preserving and enhancing their ancestral languages. The Yukon Transportation Museum brings to life transportation history in the Yukon. Follow the stories of the early bush pilots as they struggled to make community access easier. Hike the Chilkoot trail alongside the intrepid stampeders as they forged their way by boat, foot and train to make it to the storied riches of Yukon’s Klondike gold fields. Hear the tales of the people that shaped the Alaska Highway, the road still essential to life in Canada’s famous Yukon. At the Yukon Transportation Museum you will see, read, and hear about the rich history of the north through lively stories and the interesting, detailed and surprising size of displays. These are the stories of love, loss, riches, ingenuity, devastation, adventure, fear, separation, and joy. They show us how and why people have been moving over this land for thousands of years. The Yukon Transportation Museum’s mission is to tell stories of Yukoners’ ingenuity and self ­sufficiency through the history of transportation in the Yukon. Our mandate is to identify, acquire, preserve and conserve the history, cultural material and artifacts of Yukon’s transportation modes and to interpret this history in an educational manner for all Yukoners and visitors alike.